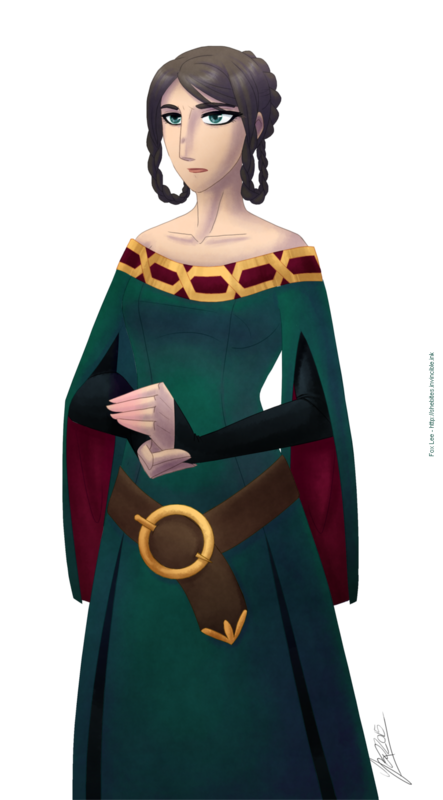 Sigrid's mother, a no-nonsense monarch who tries to be fair and responsible. She conflicts with her daughter over Sigrid's childish behaviour and tries to impress upon her the need to become a proper ruler (though I'm not really playing the "stop trying to be a man" angle, because that's not the point of the story). Although she and Sigrid come to the brink of destroying their relationship, she's not like Leda, so there is hope for them to reconcile.